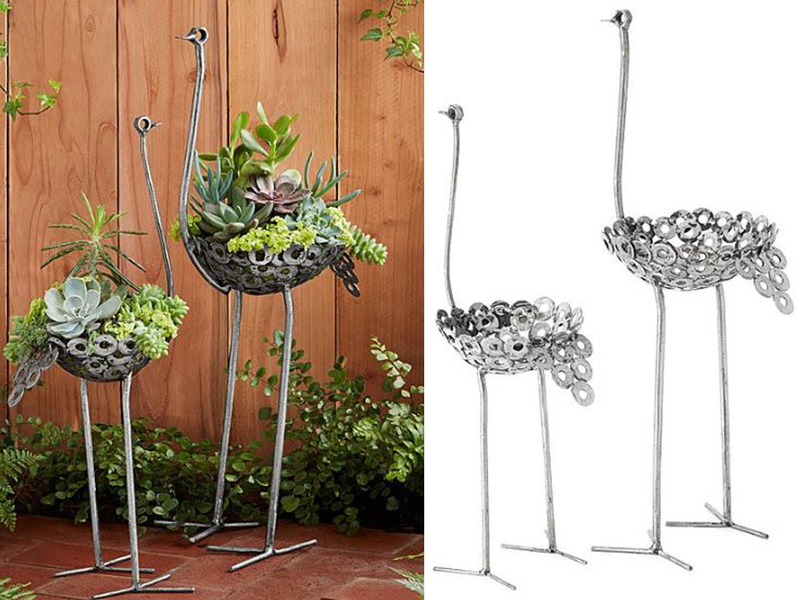 These delightful recycled metal ostrich planters are useful and cool. You can plant succulents in them and put them on display anywhere because they look great. Succulent gardening is a very popular hobby and any enthusiast will love to receive these as a gift. They are fun and very unique because they are are hand made. The planters are interesting because they are handmade by artisans in Kenya. 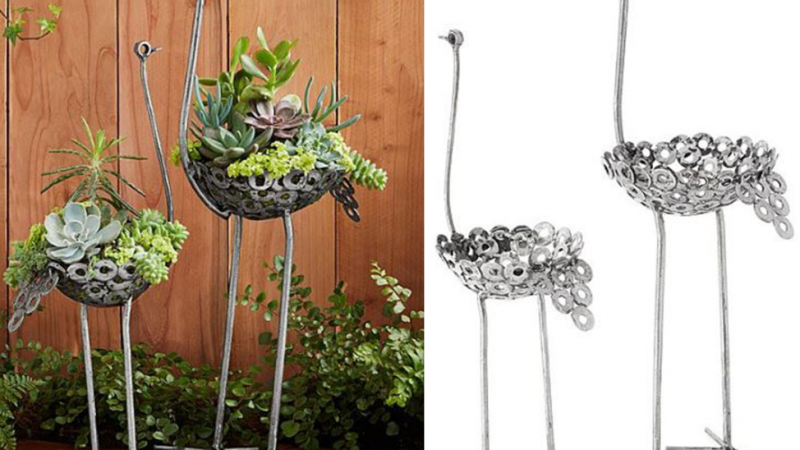 Recycled metal pieces such as nuts and bolts and other salvaged metal pieces are used to create them. Use them to store small items like your car keys if you are not a gardener. There are many things that you can use these for because they will attract interest no matter how you use them. They can be used to hold sweets, spare change, potpourri or a number of other things. If you are someone who enjoys succulent gardening you can make a very special gift. 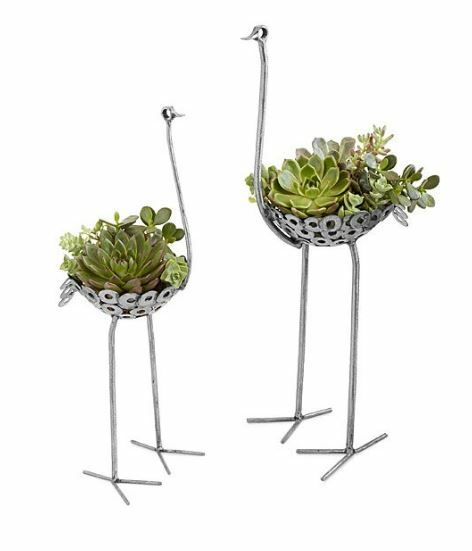 Arrange some plants in the ostrich planter before giving and you can present a ready made garden. These planters come in two different sizes because this helps you get the one that is right for you. Choose from standard or large when ordering. The standard planter measures 20.5" H x 6.5" Dia. x 2.5" D and the large planter measures 24" H x 7.5" Dia. x 2.5" D. These measurements are of the planter bowl and the height of the ostrich planter from the feet to the head.